Why choose us for a secured loan? Fair Mortgages can provide you with a first class service if you are looking for a second charge mortgage on your home. 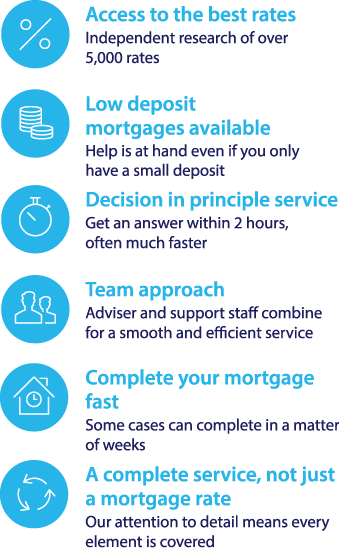 As part of our service we can review whether remortgaging is a better option for you in raising finance. To investigate your second charge loan options call our specialist team on 0117 313 7780 or fill in our call back form. As previously mentioned, you are likely to be offered a lower rate of interest on a secured loan then you will on a personal loan, as the loan is secured against your property. Another reason why people commonly choose secured loans is because your repayments are normally made on a monthly basis. Although it is worth noting that the amount you pay each month will vary if there is no fixed interest rate. We work with the majority of secured loan lenders (including Halifax) to offer you leading and exclusive secured loan deals. Our specialised secured loan advisory team can help to analyse your situation, and provide you with expert advice to help you make the best decisions for your future. If you have any question or queries with any aspects of secured loans, why not call us today on 0117 313 7780 for a free initial consultation; or fill in our contact form to request a call back.